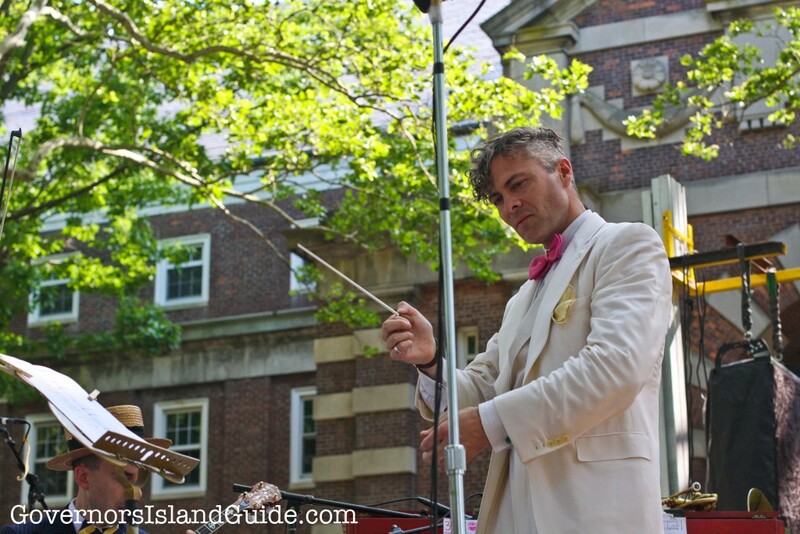 Bandleader Michael Arenella announced this week that tickets for his 13th annual Jazz Age Lawn Party go on sale March 1. The dates for the Jazz Age Lawn Party are June 16-17 and August 25-26, 2018. Tickets will be available here. It usually sells out. Congratulations to Michael. Nobody has brought more people to Governors Island than he has. For 13 straight years he has consistently had the biggest and longest-lasting annual event on the Island. It has grown from 50 friends to thousands a weekend. The history of lawn parties on Fort Jay goes back more than 100 years, so it’s a great event to tie into the past.